PapARt is a software development kit (SDK) that enables the creation of interactive projection mapping. Today, it is developed by the Inria Potioc team. It comes from the augmented physical drawing tools created by Jeremy Laviole, which are documented in his PhD thesis (free to read). It enables the creation of Augmented Reality (AR) applications. Like most AR toolkit, it is vision based and it detects the world using color cameras. In addition to this, PapARt also uses a depth camera. These cameras are pre-calibrated (intrinsics parameters) and PapARt enables the extrinsic calibration: how cameras are located relatively from one to another. It uses tracking libraries such as ARToolkit and OpenCV. In addition to cameras, PapARt calibrates the projector’s extrinsics. Interactivity is increased thanks to an object and hand tracking enabled by the depth camera. PapARt is a Processing library. Processing is a development environment created for beginners programmers and artists. 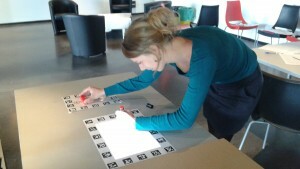 It enables quick and easy prototyping of interactive visual applications. There are no formal prerequisites to start coding with Processing. Processing sketches (applications) are compiled as Java programs. In addition to this, it is possible to create applications using Python, Java, Ruby, or any language running on the JVM. 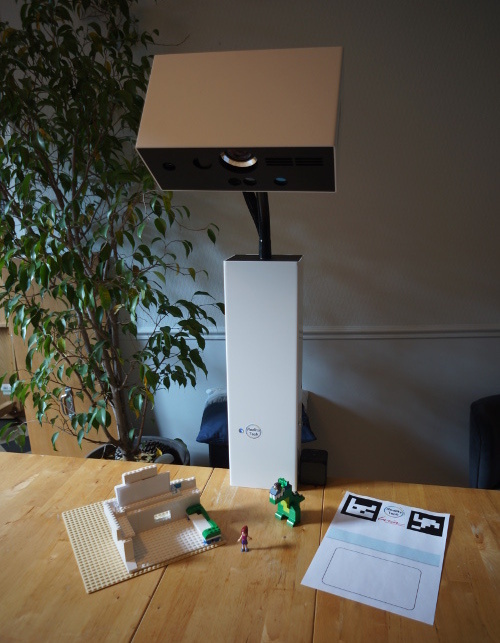 To use PapARt, you need dedicated hardware: color camera, depth camera, projector and a PC with the good software components. RealityTech is here to distribute the hardware required to create PapARt applications with pre-calibrated and pre-installed components. Moreover, RealityTech’s goal is to promote the use of the PapARt library beyond the field of research. RealityTech also builds a video game console based on PapARt. The Symapse project is at the intersection of physical and digital maps. This project’s focus is on self expression and annotations on interactive paper maps. It is part of Julia Chatain’s work during her Master’s thesis internship in the Potioc team. Photo of the Symapse project. The assisted drawing applications are based on Jeremy Laviole’s work on assisted physical drawing. Perspective drawing. Multiple assisted drawing tools.